Ask anyone about us and they’ll tell you it’s not in our nature to brag. Sure, we’re pleased with what we’ve achieved but our biggest source of pride is the results we help our business coaching clients achieve. So we ask that when you read the testimonials here, please focus on their results and the pride they have in their business. And if that sounds like something you want too, well, we’d be proud to be on your side as your business coach. Ryan McKenzie, founder of award-winning Rycon Building Group, speaks about his experience with Tenfold Business Coaching. Read Ryan’s honest perspective on the challenges he and his coach have worked through. Reliable Plumbing is the industry-leader in commercial plumbing and maintenance in Melbourne. Director, Chris Malcolmson speaks about how Tenfold Business Coaching has helped take their business from good to great – and still growing. Read Chris’ honest view on how coaching has made a difference to their business and his plans for the future. Alex Lamblin runs Prolux, an electrical contracting business, and has used Tenfold Business Coaching to rapidly grow his business. Learn more about Alex and his experience with Tenfold Business Coaching. Mark Slefendorfas, owner of Brocor Landscape Construction, discusses how his business has grown with Tenfold Business Coaching. Learn more about how Mark’s Tenfold Business coach is helping him drive business growth, and free up time. 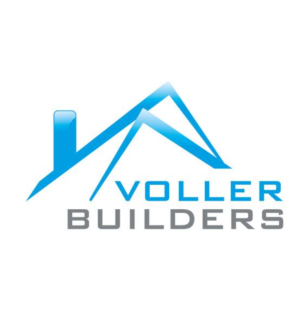 Diccon Voller, owner of Voller Builders, is proud of the business he is building with Tenfold Business Coaching. Hear from Diccon how his Tenfold Business Coach is making a real difference to his business. Professional skier/Physiotherapist, Andrew Wynd, and qualified Chartered Accountant, Victoria Wynd, know about discipline. They speak about their experience working with Tenfold Business Coaching to take their business, Balwyn Sports and Physiotherapy Centre, to the next level. • Net profit has increased 30% while also growing top line sales. Read about Andrew and Victoria’s coaching journey from good to great. Gene Onyschko, owner of Sanitaire Bio-Products, import and distribution business, has seen great benefits from using an experienced Tenfold Business Coach. Read Gene’s honest perspective of how he is achieving rapid results through Tenfold Business Coaching. John and Maggie of Rapid Cold Air Conditioning sought help from Tenfold Business Coaching to turn their HVAC business around. Discover more about why John and Maggie feel lucky to have a Tenfold Business Coach on their side. Glen Clark had been successfully running his specialist electrical contractor and solar power installation business. In this testimonial, Glen speaks about the differences his Tenfold Business Coach made to improve profits by 30% within the first year of coaching. Read more about Glen’s experience here. Brij Purohit runs a successful cleaning business. In this testimonial Brij talks about how he found his Tenfold Business Coach essential in guiding him through the process of franchising his business. Find out more about Brij’s successful journey to franchise his business. Jasmin Meaker, owner and operator of Skylark Sports talks about how Tenfold Business Coaching has helped her achieve success. Discover more about how Jasmin worked with Tenfold Business Coaching to change her approach, and free up her time. James McHugh runs Blue Flame IT Consulting, a business offering IT services. He needed help transitioning from a ‘hands on’ technician role to a true business manager role. After having limited success with other business coaching firms, he turned to Tenfold Business Coaching. Learn more about James’s journey with Tenfold Business Coaching. 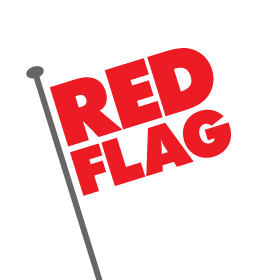 Husband and wife team, Matt and Teree Clare run Red Flag Systems, a specialist security solutions business. They have seen how an experienced Tenfold Business Coach can deliver immediate results. Find out more about how Matt and Teree are using Tenfold Business Coaching to expand their business. Family-owned plumbing business was in need of help to sell the asset they had built up over 40 years. 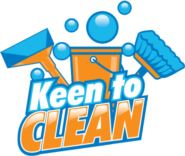 • Long-standing domestic plumbing, service and supply business, based in Melbourne’s eastern suburbs. • Uncertain of how to sell the business and realise its full value. • Unsure of what steps to take to find a good buyer prepared to meet their terms. • Tenfold Business Coaching was instrumental in guiding them through the process. • Great result was achieved! Narelle talks about how having a Tenfold Business Coach on her side made all the difference. 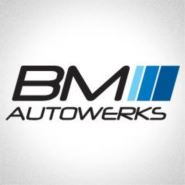 John Damianidis runs BM Autowerks, a specialist service centre for BMW and Mini. John engaged Tenfold Business Coaching to help him make the difficult transition from tradesman to profitable business owner. Learn more about John’s journey with Tenfold Business Coaching. Doug Lord runs Yellowstone Landscaping, an established Melbourne commercial and civil landscaping business. • Since starting coaching, they have grown from 4 to 16 staff members! Learn more about how Tenfold Business Coaching helped Doug achieve real results. David Russo runs Ion Security, a business specialising in commercial security installations. David’s business was at breaking point, and he engaged Tenfold Business Coaching to help the business get back on track. Discover more about how David used Tenfold Business Coaching to drive profit growth. Luke Cefai from Automotive Diagnostics and Repairs has experienced first-hand the benefit of using an experienced Tenfold Business Coach. Learn more about Luke and the ADR team. 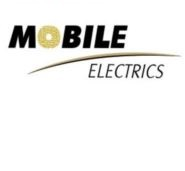 Brian Emberson of Mobile Electrics has broadened his opinion of what his business is capable of, after working with his Tenfold Business Coach for over six years. Read more about how Brian used Tenfold Business Coaching to achieve lasting growth in his business. 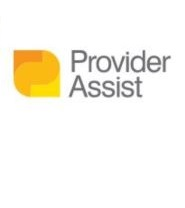 Jacqui Banham of Provider Assist discovered how an experienced Tenfold Business Coach helped her deal with rapid growth, by recruiting the right staff and using the best systems. Learn more about Jacqui’s experience tackling rapid business growth, with the help of Tenfold Business Coaching. Carolyn and Richie Miles of Surrey Hills Garden Supplies know the difference an experienced business coach can make to a small business owner. See Carolyn and Richie’s testimonial in full. 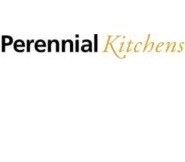 Peter Schelfhout and Michael Simpson of Perennial Kitchens started working with Tenfold Business Coaching because they felt their business wasn’t moving in the direction that they needed. Read more about Peter and Michael’s experience with Tenfold Business Coaching. Geoff O’Brien runs Roadsigns (Australia), a line marking business. Whilst the business was running well, they knew they could do things better, and they engaged Tenfold Business Coaching to help. Read more about the business growth that Geoff achieved with Tenfold Business Coaching. See Jim on YouTube , excited about his business coach achieving Top 1% in the world ranking. Peter Watson of Provider Assist has experienced the value of using an experienced business coach from Tenfold Business Coaching. Read Peter’s honest account of working with Tenfold Business Coaching to learn more. Fiona Chin of Vitalchi Wellness Sanctuary, a large natural therapies clinic, has seen first-hand the difference tailored coaching from an experienced Tenfold Business Coach can make. Discover more about Fiona’s experience growing her business with Tenfold Business Coaching. Cathy Thesing founder of Leading Nutrition, a dietetic consulting business sought out Tenfold Business Coaching to improve accountability in her business. Read Cathy’s account of how coaching from Tenfold paid for itself many times over. Mark Silver founded Future Business Systems, a software solution business when he was 17. After running the business for 15 years, he engaged Tenfold Business Coaching to learn how to manage it more effectively, and to turn his business around. Read Mark’s account of how he got his business back on track with Tenfold Business Coaching. Sharon Pearson runs The Coaching Institute, a life coaching and executive training organisation. She sought out Tenfold Business Coaching after realising her business model wasn’t working. Find out more about how Sharon achieved rapid growth in her business using Tenfold Business Coaching. Kent Fisher of Access Scaffolding approached Tenfold Business Coaching when he was struggling to make the challenging transition from tradesman to business manager. Discover more about Kent’s journey with Tenfold Business Coaching. Bill Sides of Sides Engineering Drilling Services sought out Tenfold Business Coaching to help him prepare his long-term family business for sale. Read more about Bill’s positive experience with Tenfold Coaching. 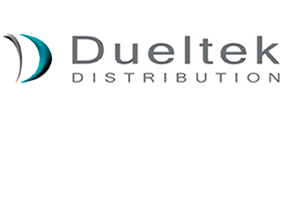 Gary and Jan Herzig have run Dueltek, Australia’s number one cable store for over 27 years. They approached Tenfold Business Coaching to take their business to the next level after it had plateaued. Hear more of Gary and Jan’s candid account of how Tenfold Business Coaching helped them to increase turnover and gross profit. Bryce Norton had over 20-years experience running his business, but felt he lacked the training and skills to help his company reach its potential. He engaged Tenfold Business Coaching to help. Phillip and Karen Theodore run Apple Print, and contacted Tenfold Business Coaching to help them turn their business around. Learn more about Phillip and Karen’s progress using Tenfold Business Coaching. Anthony Green, co-owner of Tiger Tribe, is a better leader thanks to the coaching he did with Tenfold Business Coaching. Hear from Anthony how his Tenfold Business Coach is helping him be the best leader to grow his business. Clint Joyce of Yarra Painting was working 80 hours a week but his business was still making a loss. He came to Tenfold Business Coaching to transform his business. – The business is now profitable and enjoyable. And Clint’s in control. Discover more about the changes Clint made with Tenfold Business Coach to turn his business around completely.